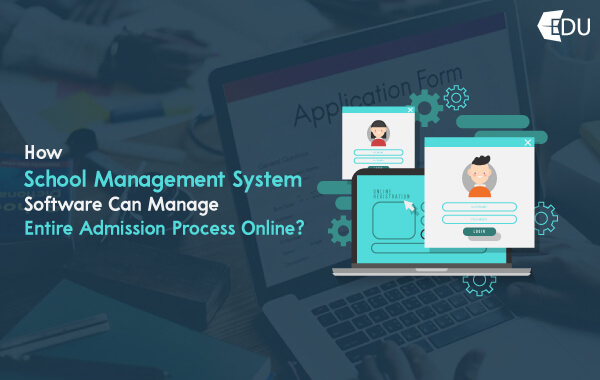 How School Management System Software Manage Admission Online? HomeSchool Management Software How School Management System Software Can Manage Entire Admission Process Online? Each academic year, you welcome more students and spend more time, money and resources for the same. The manual registration process invites stress and burden for the admin staff where they have to accumulate forms and record the data securely. With the school information management system, your next admission season will be a hassle-free experience. It can help to diminish the chaos and stress of the traditional admission process. You can streamline your admission process with the online system and save time and resources. Also, the software helps to gain a competitive advantage with the essential key features and modules. So, what is the school management system? The school management system is software to manage day-day-day school operations. The system enables you to manage admissions, registration, attendance, scheduling, etc. It centralized the school processes and improves the visibility of all functions. It is designed to increase efficiencies and effectiveness of school functions. There are many compelling features in the system that helps to reduce redundant and repetitive work. The school management system automates the school operations including the admission process to reduce the burden on management. Efficient school management is the ultimate goal of the school management system software. Thus, you can concentrate on offering more quality education to the students. 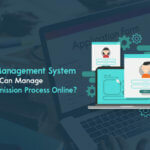 How does the school management system work? The school information management system enables you to record all the admission data quickly and productively. By using the software, the management does not need to worry about handling manual work for the registration. It gives you the opportunity to manage and customize the data as per your rules & regulations. The software offers online enrollment where students have more visibility os courses and schedules. Oftentimes, the school management system is self-explanatory so the students can easily secure their enrollment in your institute. Also, you can send the admission process form directly to the parents or students with the digital system. In this case, you will have basic details of students before they walk into your institute. So, you can confirm more admissions in a short time. Moreover, a school management system software collaborates parents, students, school administration on a single platform. The system allows ease of communication between the connected members, anywhere & anytime. What are the other school management software modules? The school management software is a proficient way to manage all your school operations. Whether you want to keep an accurate record or connect with staff and parents, all you need is the school management system. It helps to offer superior admission experience to parents & students. The digital admission process performs error-free admission. More importantly, the system helps you to save time and costs. Besides, with the school information management system, you can get real-time analytics reports to promote educational and other services. Securely manage all your critical data and access it whenever you need it. Also, it allows you to maintain student tracking along with time-table scheduling for better management. In short, the school information management system performs all school processes in a simpler, easier, and quicker way. The system offers pre-defined sets of features for each user including parents, students, teachers, and admin staff. Features for admin include Adminission management, Instant announcements, schedule management, fee management, staff management, etc. The features like attendance checking, online fees payment, result updates, homework details, and many more help parents and students to stay informed about the school work. Further, the teachers can access the system for a better education with the functionality including assigning homework, schedule updates, Attendee recording, exam or result updates, and many more. The school management software comes with the essential features for improved collaborate and communicate between school and the end users. Why web-based school management software? A web-based school management system can offer a familiar and better user experience. It only needs an internet connection to access, and manage your school operations. You do not need to install any plugin or application with the web-based system. Moreover, you can access web-based school management software from anywhere at any time. It is compatible with all devices and browsers. As all information is being stored in one place, so you can securely access all data without losing it. What is the scope of school management software? In today’s time, people are lean towards digitalization. As there is fierce competition in the education industry, all the institutes should adopt a digital system to stay ahead. The school management software helps schools to run smooth functions and keep accurate data handy. With the school management system software, you can offer effective educational services. Besides, it is a convenient tool to improve your services. For instance, if your institute has started new courses, you can send a direct notification to the students. The need for the computerized database is arising where parents are also want to stay connected with their child’s school report. So, accurate school management is the necessity right now. And the demand for school management software will be increasing in the future. As it offers more collaboration opportunities, you can promote and extend your educational services. The system allows you to save time and resources to focus on quality education. In this digital era, it’s a time to provide not only a systematic admission process but also hassle-free admission experience to the students. Get the School management system software and efficiently manage your admission process along with managing other essential school operations. MyEdu is a powerful way to operate your school management, contact us for more details.